A medium-bodied beauty. As charming and gulpable as they come. 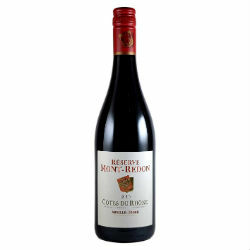 Made from 70% Grenache and 30% Syrah, it’s loaded with notes of strawberries, cherries and dried flowers characters.